Calling all Poets, Writers, Artists and Journalers! Looking for the perfect journal to hold your most creative thoughts? 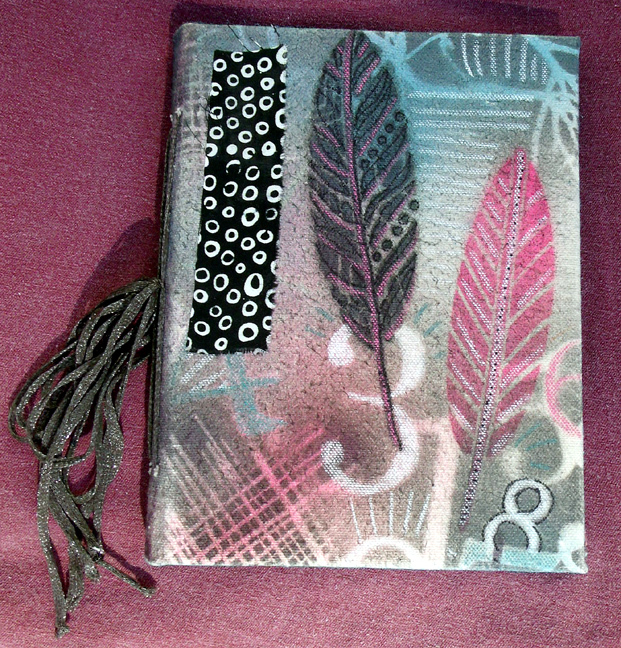 Each student will make a unique, bold and colorful 6” x 8” journal perfect for sketching, art journaling or writing. We will use heavy paper for pages, stencils and spray paint for street style images throughout, canvas for covers and fibers for texture. Learn the basics of torch soldering, cutting, filing and hammering copper to make beautiful round bezels that perfectly showcase your photos or artwork! Accessible materials and a simple process will make for sure-fire success! Fill them with resin to form a glass-like bubble for beautiful, personalized pendants to wear or give. Students must bring: a butane torch, 1 full can of butane, tin snips, needle nose pliers, scissors, safety glasses, a cookie sheet and a fire brick or yard brick. Wearing safety glasses is mandatory. 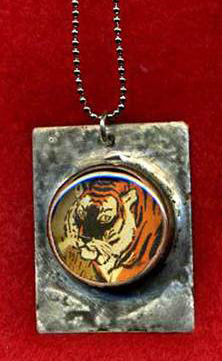 Optional: small images about 1” in size. Photos or sized down versions of your artwork work well. Note: *All measures will be taken to create adequate ventilation as much as possible. If you have extreme sensitivities to soldering products or smelly stuff, consider this carefully before registering. You are an artist and you have something to say… now you can wear your art on your sleeve and show the world your vision. Mixed media embellishment is the perfect accompaniment to denim. Make a tattoo-inspired vest, a rock ‘n’ roll style jacket, or a unique boho-styled shirt — your choice. 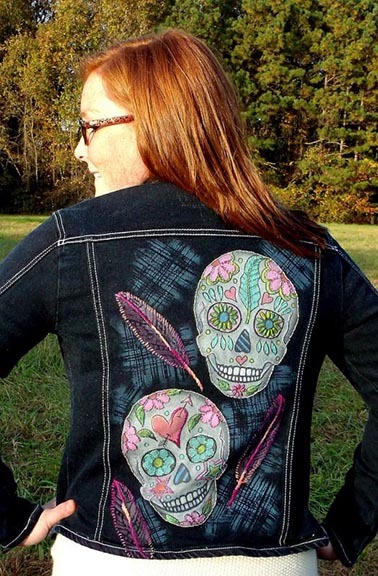 Design, cut, patch, embellish, embroider and more to take your wearable item from ‘Plain Jane’ to Rock Star! Your unique finished creation will remain soft, comfy, wearable, washable and extremely cool.